We had the very best time ever for our Honeymoon! An unforgettable experience – Thank you to all your friendly staff and to our gracious hosts. we’ll see you again! We enjoyed it very much and hope we’ll come again for the 3rd time. Thank you! Amazing Place! Travis and his team made our Honeymoon stay incredible, every detail perfect. He surprised us with Rose petals and Sparkling Wine. we spent almost our whole stay in the Hot tub and on our Deck! We wish we could have stayed longer. Perfect place for a Honeymoon! We’ve been in South Africa for a week on our Honeymoon and our stay at The Alexander House has been the highlight. Travis could not have been more helpful or Memories more cheerful. Every little detail has been taken care of and the attention to detail is impeccable. Jacuzzi on The Royal suite deck – best idea ever! We’d love to return and thank everyone at The Alexander House for making our stay so memorable. Thank you! The beautiful view, the excellent service and the excellent Breakfast made this a weekend to remember! Thanks! 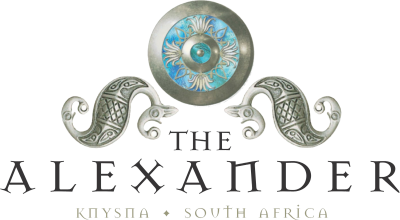 Dear Alexander and team, what a pleasure to stay here. The service was exquisite. The personal touch was appreciated. Thank you for a wonderful & relaxing time. Nothing was too much trouble & you made our holiday really easy. Fantastic & warm team. Finally, thank you for the Champagne! Your location right here is one of the best in all of the World, everything is perfect! The Breakfast and the views! We are really looking forward to returning soon.